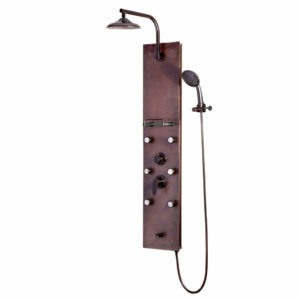 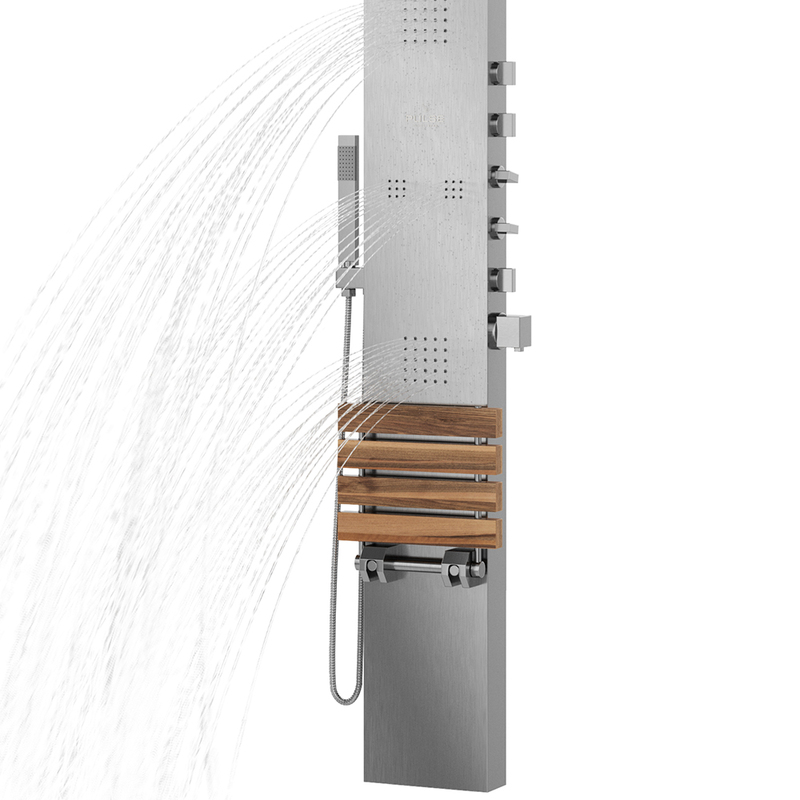 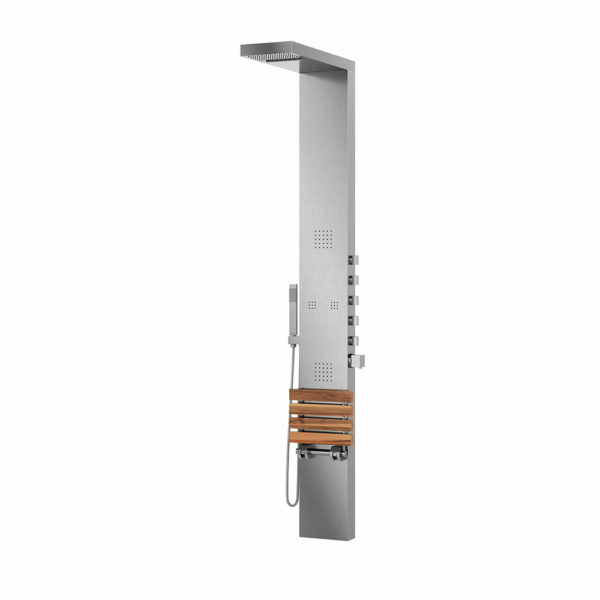 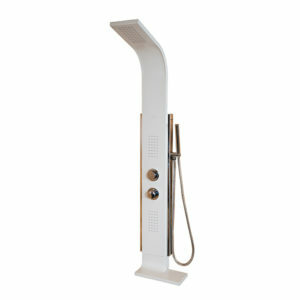 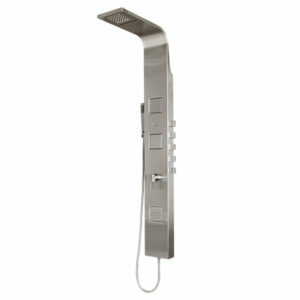 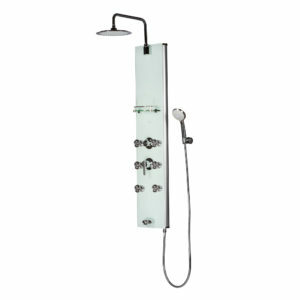 Designed to impress, the Oahu ShowerSpa is a stronghold of function and performance. 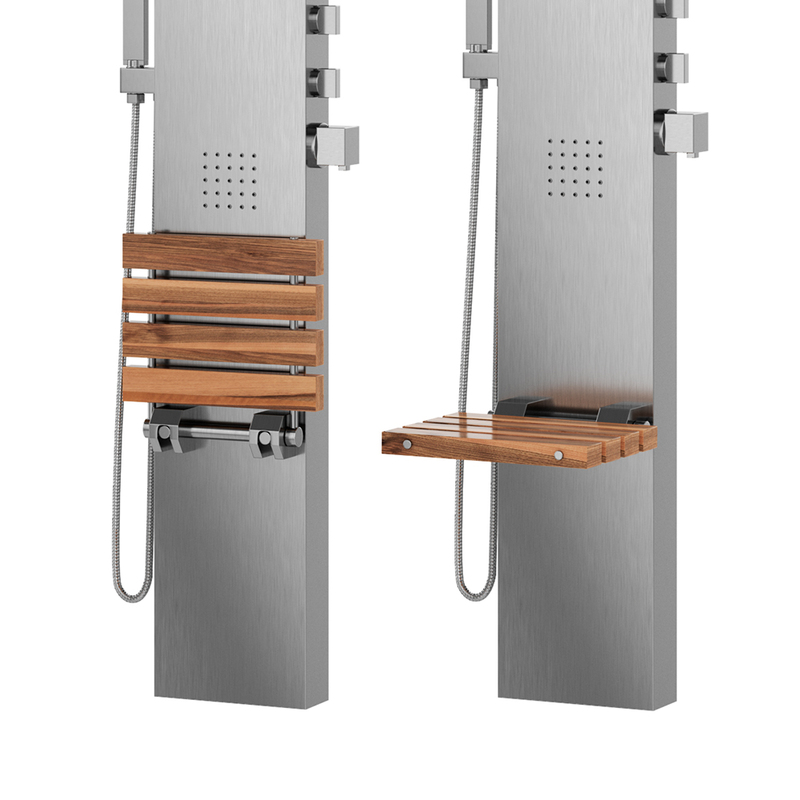 The only PULSE ShowerSpa to offer a convenient folding seat made of elegant teak wood. 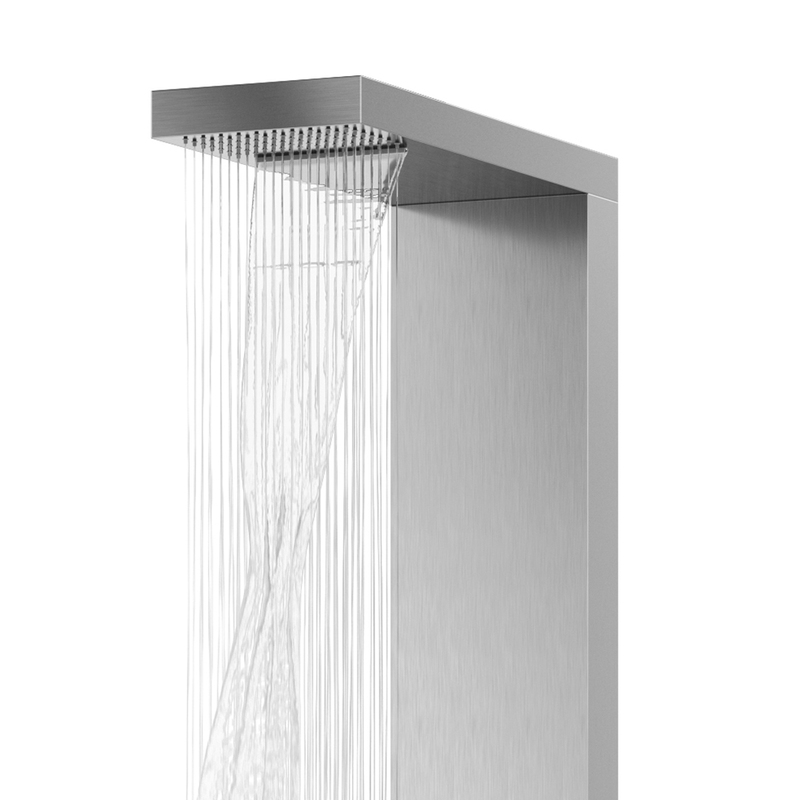 Color Option: Brushed Stainless This product cannot be shipped to CA, CO and New York City, NY due to their 2.0 gallons per minute flow restriction.